When thinking about Android powered phones, various things can come to mind from companies like Samsung to Micromax. A few would even extend to projects like Google Glass and on reminding it can come to some that even Music players can be Android powered. Few however, might realize that Android has a potential to reach out to almost every machine out there. Even weirder is that very few would remember that a landline phone is such a machine too. Before Mobile phones came and took the world by storm, the landline phones were making steady progress towards becoming wireless as well. Cordless phones were a rage in late nineties and even early two thousands. Now, in India, the growth of mobile has been tremendous and very few people actually use a landline for talking. Many have it for reasons like Broadband connection or for a “residence proof” to have a landline. It is no wonder that these phones have reached a Hiatus. That doesn’t mean that the cordless phones can’t be pumped up and renewed. This is a cordless phone which is a smartphone style handset. The idea is simple – It is a phone which runs Android 4.0 (Ice cream Sandwich) and is attached to your landline number. While I am skeptical about a few features like GPS (where would I go with landline…lol) and MicroSD storage (again, how much would that actually be needed), the concept itself is appreciable. Again, it is wise that Panasonic added a front camera so video chatting can be very easy with Skype. Now, while it is not the first company to launch such a phone with Archos, Binatone and Nakayo beating them to it, but it is a first to come with Anrdoid 4.0 or up and it is the biggest of them all to put its money behind the idea. While, I do not think it will have many takers, it still can create a niche for itself in the market. What do you think? Would someone buy an Android landline phone if they already have an Android powered Handset? 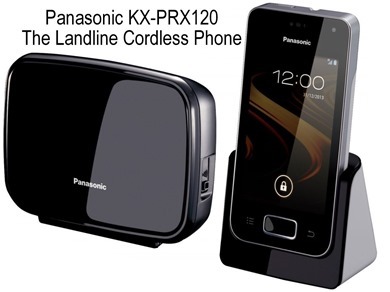 "Panasonic's Interesting Launch: An Android Powered Landline Cordless Phone", 5 out of 5 based on 1 ratings. Could you please indicate the MRP of the above gadget? I am totally sold, great idea.